Courts Generally Will Enforce North Carolina’s Anti-Indemnity Statute, But How Far? As my previous blog post indicated, the statute prevents “one party from shifting the entire risk of its own negligence to another.” A recent case from the U.S. Bankruptcy Court for the Eastern District of North Carolina demonstrates how courts utilize the so-called “blue pencil” doctrine to accomplish that goal. In In re New Bern Riverfront Development, LLC, the subcontract between GC and sub contained a clause purporting to require the sub to “indemnify and hold harmless” the GC “from and against claims … resulting from Subcontractor’s work … provided that such claim … is attributable to bodily injury … or to injury to or destruction of tangible property … if caused in whole or in part by the negligent acts or omissions of Subcontractor…” (Emphasis supplied). The sub argued the anti-indemnity statute precluded enforcement of the clause; the GC argued the clause was enforceable. The court split the difference, using the “blue pencil” doctrine to essentially strike from the clause the phrase “or in part,” leaving the sub potentially responsible to the GC only for the sub’s negligence “in whole.” On the facts of the case, however, there was no evidence that the damages in question were caused “in whole” by the negligence of the sub, and so the court dismissed the GC’s indemnity claim upon the sub’s motion for summary judgment. That’s a great result for the sub. Still, a word of caution is in order. 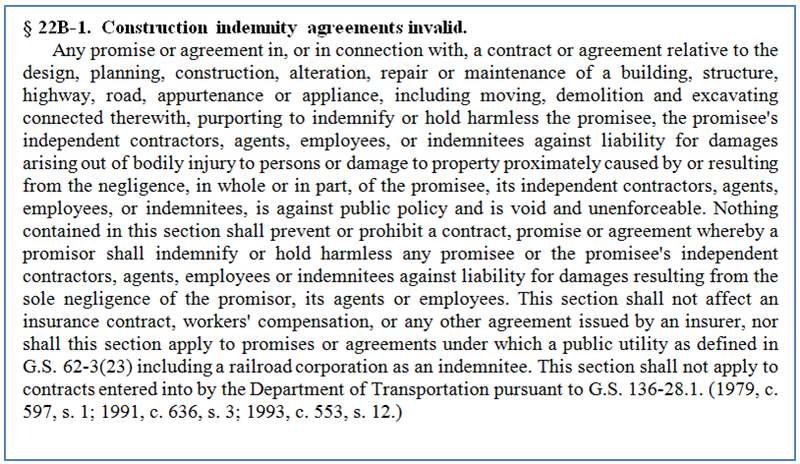 The anti-indemnity statute, per its own terms, only extends to third-party claims for personal injury and property damage. That leaves a whole host of claims for which a lower-tier contractor could be responsible to a higher-tier, regardless of which party in the contractual chain might be at fault. Suppose, for example, you’ve signed a subcontract containing a clause purporting to require you to defend, indemnify and hold harmless the GC “from any and all claims whatsoever arising from the Subcontractor’s performance.” Let’s further assume that a project delay arising from an architect’s wrongful stop work order related to your work caused the GC to incur extended general conditions. The architect is now out of business, and the GC is looking to you to make it whole. Might you escape liability to the GC under the anti-indemnity statute? Unfortunately, there’s no express language in the statute prohibiting enforcement of such a clause, and under existing law, it’s unclear to what extent, if any, the courts might offer you protection under the “spirit” of the statute. The upshot? Courts typically will employ the blue pencil doctrine to enforce specific protections passed into law by the state Legislature. But in the absence of such statutory protections, you may be on your own. 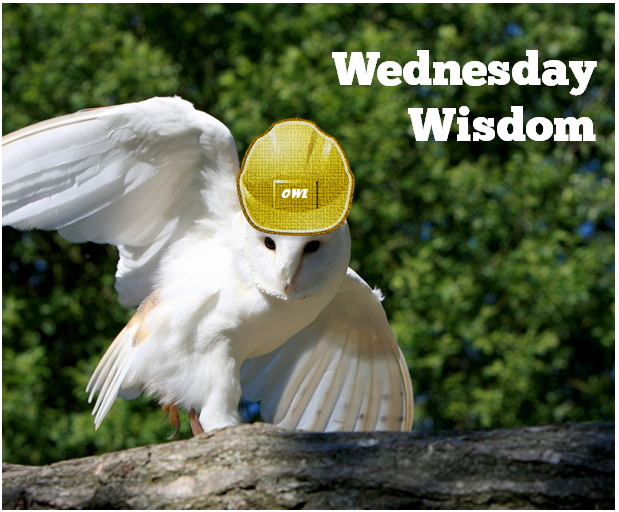 At the contracting stage, be on the lookout for overbroad indemnification provisions, and negotiate your construction contracts wisely. Better still, have an experienced construction attorney review the next construction contract you’re asked to sign to ensure it contains a fair risk allocation between the parties.